I’ve noticed that the heart gets a lot of airtime in yoga classes. As a yoga teacher I am just as guilty as the rest. You will hear cues in class such as “open your heart!” or “breathe into your heart”. All of these cues are well and good, but what are we really looking for when we seek to create more space in our hearts? 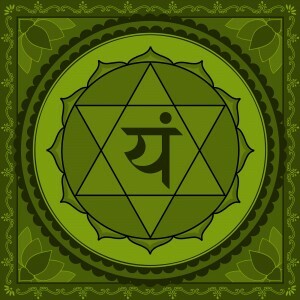 Energetically, we speak to the 4th chakra, the heart chakra as the seat of compassion and love in our bodies. When we seek to open the heart, the goal then becomes to create more space for love and compassion in our lives both toward others, but perhaps most importantly toward self. Yet for those of us who have experienced grief, loss or heart break, these cues to “open the heart” can be frightening. What if we are not ready to open our hearts to love again? What if we are afraid? This is the place, of course, that we can most likely benefit from the energy of love and compassion. The trick becomes how to open to it. Find somewhere that you will be undisturbed and find a comfortable seat, whether on the floor with props or in the support of a chair. Close the eyes, and begin simply by watching the breath. Bring one hand to the heart and feel the rise and fall of the breath underneath the hand. Now bring the attention to the space underneath the hand, the seat of the energetic heart. Visualize that resting behind your hand in the center of the chest is a tightly budded rose. Hold that visualization in your mind’s eye and begin to direct your breath to the heart center and visualize the breath entering the rose. As it enters the rose, see the rose slowly begin to open, one petal at a time, unfurling from its tight wrap. As it opens further, begin to make offerings from your heart. For each offering visualize a petal falling away from the heart and fluttering down the spine through the pelvis and into the earth. The flower will continue to open, offering more and more petals as you continue through the practice. People, things or events you are grateful for. People that you want to send love and compassion to. Hurt or heart ache you are ready to let go of. The experience of emotions: love, joy, peace, sorrow, anger, grief. Allow each petal to fall until you feel complete. Allow the petals to continue to unfold from the bud at the center of the chest, never-ending and infinite. You may find this takes 2 minutes or 10 minutes. You will know you are complete when you find that nothing else pops up into the mind to be offered. Once you feel complete take a few deep breaths bringing the attention back to the hand resting on the heart. Notice what you feel in and around your heart. Observe the physical body around the chest. observe the cadence and depth of your breath. Observe what you are feel around your heart. When you’re ready bring the two palms together, rubbing them vigorously until you create heat between the palms. Once the hands are warm, bring them on to heart center, one hand covering the other. Take several deep breaths allowing the heat to enter the heart. When you feel ready, open the eyes. If you’re interested in learning more, join Megan February 27th at 8 Limbs Wedgwood for a deeper study of the heart chakra at her workshop on Vulnerability & Opening: Explore the 4th Chakra. Click here for more details.